Felix Conrad has published a new ebook: How to Jedi Mindtrick Your Gender Dysphoria, containing some pretty useful observations and advice for those MTF crossdreamers who do not go down the road of transitioning. Felix' inner wise man talking to his inner woman. The recent interest in transgender issues has been of great help to transgender people of all types. Yes, the bathroom laws represent a back-clash, but you only get a back-clash when society is changing, and in this case in a much more tolerant direction. There is still one group of transgender people --- and I am using the term in its broader, umbrella meaning of gender variance here -- who remain invisible, though. Or, at least, less visible. These are the gender dysphoric transgender people who -- for a wide variety of reasons -- decide not to transition. This is the group Felix Conrad, our MTF crossdreamer philosopher per excellence, targets in his new book How to Jedi Mindtrick Your Gender Dysphoria. Many transgender people struggle with shame, guilt and self-denial, some to the point of attempting suicide. Monica P. Mulholland's book brings hope to those troubled. I recommend that you to take a look at Monica P. Mulholland's book Me! The gift of being transgender! 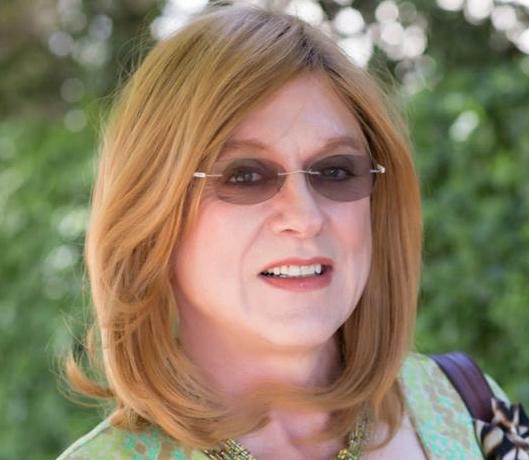 Although the book's main focus is on transgender people who have transitioned or intend to transition, it does cover the needs of the whole transgender spectrum. There is even a chapter on crossdreaming. 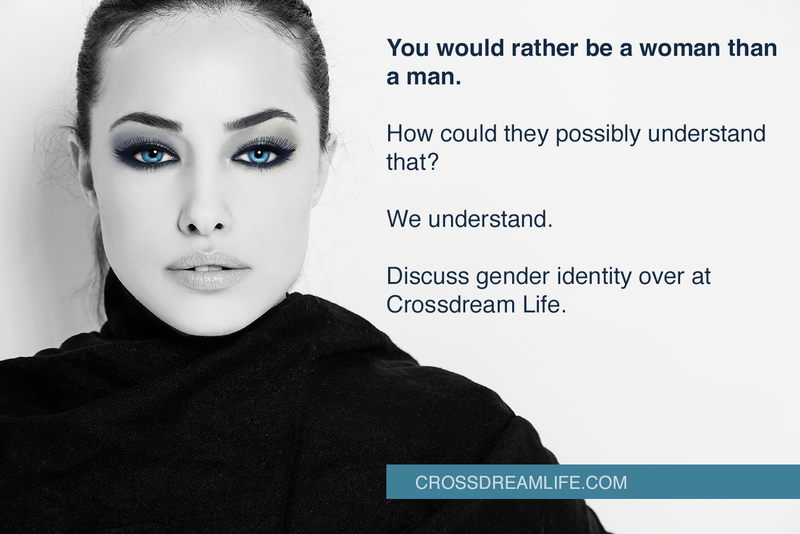 Most MTF crossdreamers and crossdressers will therefore find something of interest. Monica herself courageously discusses the dark side of being transgender, including the pain of gender dysphoria, the fear of social exclusion and the possibility of self-harm and suicide attempts. Many transgender writers avoid this topic, as they fear that writing about it may trigger destructive behavior. I agree with Monica: We need to bring this part of being trans and gender variant out into the open, and talk about it. That is the only way we can bring trans and queer people out of isolation. "Many who misunderstand the Transgender experience seem to lose sight of the word 'feel'. They may speak about the anatomy and endocrine processes, while dismissing the Transgender person's 'felt' experience as 'personal choice' -- rather than as something physiological. "Feelings are an extremely important part of the human condition -- and especially so when trying to understand, and communicate with, a person who is Transgender. If a Transgender person does not feel known, understood, accepted, loved or included, then barriers to feeling of well-being and self-worth negatively impact their communication with those who are most important to them."